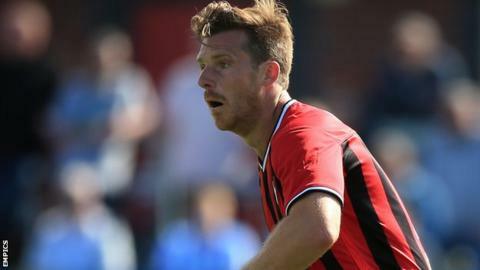 Oxford United defender Johnny Mullins says the squad will stay positive despite suffering their first home defeat of the season against Barnet. Michael Appleton's side conceded three goals in five first-half minutes at the Kassam Stadium on Saturday. Two goals from midfielder Liam Sercombe were not enough to salvage a draw. "We've broken the season down into little targets and we've reached our points target for the first phase," Mullins told BBC Radio Oxford. "But, we're disappointed obviously," the 29-year-old added. "Nobody can hide away from the fact that we can't defend like that in any game. We knew what Barnet were going to hit us with and we didn't deal with it." Oxford remain third in League Two despite Saturday's loss and will hope to get their form back on track when they travel to Stevenage on Saturday. "We have to take the positives," Mullins said. "We've had a good run at home, but now we need to start again."